LOS ANGELES, 2018-Apr-30 — /Travel PR News/ — Oakwood Worldwide, wholly owned by Mapletree Investments, was recognized with a total of 28 Booking.com ‘Guest Review Awards’ for 2017, a clear testament to the outstanding guest experiences provided at its growing portfolio of extended stay properties. 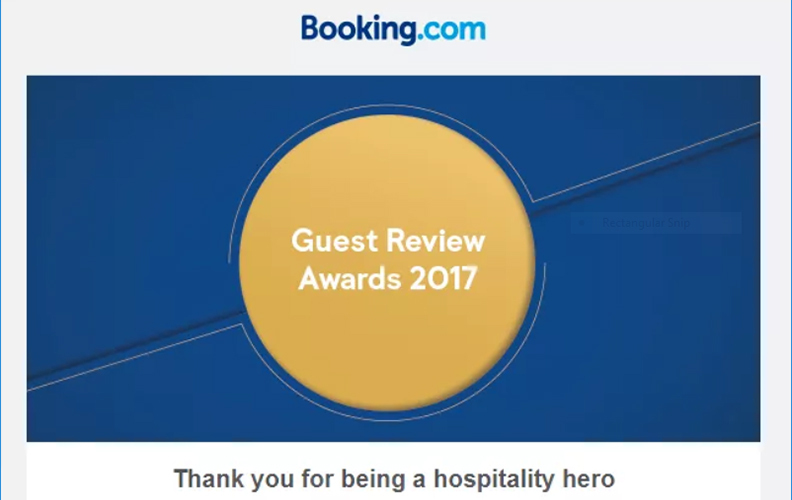 As the global leader in connecting travelers with the widest choice of places to stay, the Booking.com ‘Guest Review Awards’ are given to partners that consistently deliver great guest experiences defined by receiving an average score of 8.0 or greater on a scale out of 10, and with a minimum of 10 customer reviews. Of the 28 Oakwood properties awarded, Oakwood Portland Pearl District earned a staggering 9.6 score making it one of Oakwood’s top performing properties in the Americas, whereas Oakwood Premier Tokyo (Japan) and Oakwood Apartments Ho Chi Minh City (Vietnam) received a 9.1 rating, ranking them as the top performing properties across the Asia Pacific region for providing “exceptional” guest experiences. According to Booking.com, 2017 marked the first year that serviced apartments outperformed hotels as the top-awarded accommodation type. Serviced apartments are fully furnished residences available for short-term or long-term stay, offering hotel-like amenities such as concierge service, fitness center, housekeeping, in-unit laundry, and common gathering areas among other amenities that vary by location. This growing category of furnished and serviced residences commandeered 30% of the awarded spots for the first time and it is a sector within the hospitality industry leaders predict will only continue to grow. “We are very privileged to have been recognized by our guests around the globe for providing exceptional customer experience,” said Oakwood Worldwide Chief Executive Officer Chris Ahearn. “As our client’s needs evolve, it is exciting for us to have partners such as Booking.com to help facilitate the booking process making our Oakwood properties readily available to global travelers”. This entry was posted in Hospitality, Hotels, Travel, Travel Awards, Travel Management, Travel Services and tagged Booking.com, Chris Ahearn, Oakwood Worldwide, ‘Guest Review Awards’. Bookmark the permalink.